Sarah Darville The vacant building at 222 East 13th Street. A long-vacant and dilapidated building will become a safe haven for homeless gay, lesbian and transgender young people thanks to $3.3 million in grants from city officials and a crucial city approval. 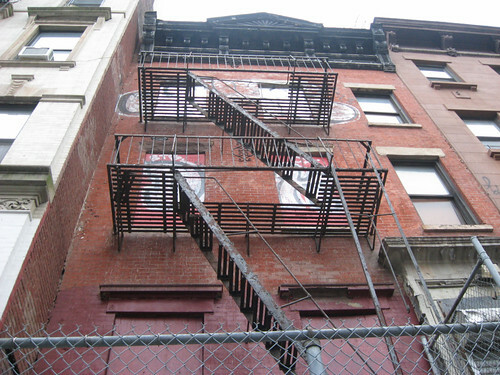 The Cooper Square Committee and the Ali Forney Center plan to transform 222 East 13th Street, a three-story building owned by the city’s Department of Housing Preservation and Development, into the Bea Arthur Residence For L.G.B.T. Youth. Last week, the organizations found out that the City Council had allocated $3 million and Manhattan Borough President Scott Stringer had allocated an additional $300,000 to the project — money that will allow them to move ahead with renovations.